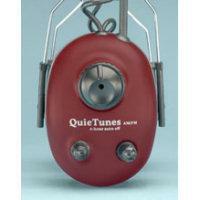 Elvex new QuieTunes AM/FM model is our response to the markets requirement for a high quality, low cost model. Uses two AA alkaline batteries, provides about 150 hours of operation. Input jack that allows connection of auxiliary devices, such as MP3 players, CD-players and Walkie Talkie radios. Sensitive radio offering FM and AM reception. 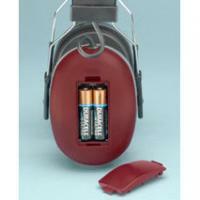 Uses two AA alkaline batteries (included) offering 150 hours of operation. 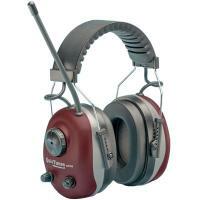 Independent testing established a Noise Reduction Rating of 22 dB. Input jack allowing you to connect auxiliary devices, such as MP3 players, CD-players or communications radios.